Risk for precocious puberty was significantly higher among girls for several reasons. A study of 129 Turkish children showed that girls were much more likely to develop non-congenital adrenal hyperplasia gonadotropin-independent precocious puberty than their male counterparts. Researchers said that functional ovarian cyst (46%) and McCune-Albright syndrome (MAS) (26%) were the most common etiologies for girls. Ovarian cyst accounted for 37% of all etiologies. Congenital adrenal hyperplasia (CAH) was the predominant etiology among boys. Twenty-seven boys and 102 girls were included in the Web-based, multicenter study. Mean age was 5.3 years at final diagnosis. 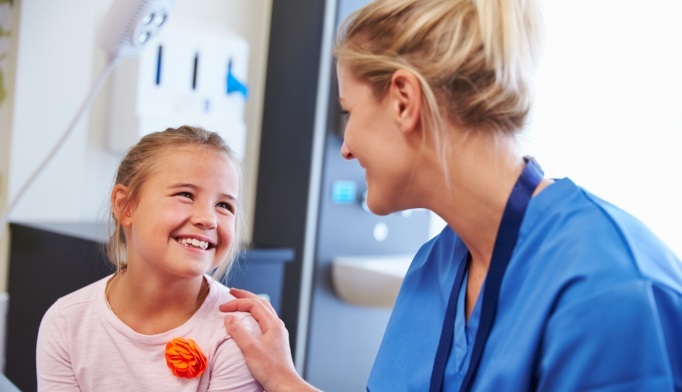 As with central precocious puberty, gonadotropin-independent precocious puberty (GIPP) was more common in girls, who made up 79.8% of those with GIPP, which was likely due to the exclusion of patients with CAH, the researchers noted. The overall prevalence of 14 in 1 00 000 for non-CAH GIPP, according to the study results. Mean duration of symptoms before diagnosis was 6.7 months overall (range, 0–68 months; girls, 6.6; boys, 7.6 months), but significantly shorter for patients with functional ovarian cyst (mean, 1.8 months; P=.005). All 47 patients with ovarian cyst had single, unilateral cysts, 55% of which were located in the right ovary. The mean cyst size was 37 mm (range, 10–88 mm). Researchers found no correlation between cyst size and estradiol levels, and there was no difference in estradiol levels between patients with ovarian cyst and MAS. Girls accounted for all 34 cases of MAS, 52.9% of whom also displayed both café-au-lait spots and fibrous dysplasia. Ten patients with MAS presented with vaginal bleeding and 59% of all patients with MAS had vaginal bleeding. Hyperthyroidism (20.5%) was the sole additional endocrine hyperfunction researchers observed in these patients. In patients with MAS, mean single cyst size (27.9 mm; range, 16–43 mm) was significantly smaller than in those with ovarian cyst (mean, 37 mm; range, 10–88 mm). Researchers noted asymmetric ovarian enlargement in 19 of the 34 patients with MAS. Twelve of those patients had a single ovarian cyst, 6 in the right ovary and 6 in the left ovary. Researchers did not observe any significant difference in right and left ovary size in the remaining 15 patients. Atay Z, Yesilkaya E, Erdeve SS. The etiology and clinical features of non-CAH gonadotropin -independent precocious puberty: A multicenter study. J Clin Endocrinol Metab. 2016. doi:10.1210/jc.2015-3500.